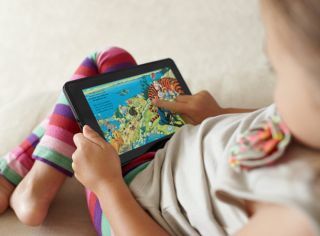 The Kindle Fire may not have made it to UK shores yet, but the tablet is set to grab half of the Android tablet market in 2012. This is according to Robert Cihra, an analyst from Evercore Partners, who told CNN Money that the Kindle Fire is set to be the most popular Android tablet ever. Now, before we get ahead of ourselves and bow down at Amazon's altar, the Kindle Fire may well dominate the Android tablet market but Apple is still the big one to beat when it comes to the entirety of tablets out there. Amazon is riding high with the Kindle Fire at the moment and Chira believes that it is all to do to with the tablet's low pricing. Chira explained, in a somewhat clunky manner: "While Amazon's Kindle Fire has come out of the gates strong, as expected, we see Apple maintaining its competitive lead, if anything accentuated by what now looks like the only tablet to so far mount any credible iPad challenge apparently needing to do so by selling at cost; not to mention Amazon's success may just vaporise other "for profit" Android tablet OEM roadmaps (e.g. we est Amazon 50% of all Android tablets in CY12)." The Kindle Fire is Amazon's first stab at a tablet and has been designed to be a browsing portal for Amazon media content, including apps, ebooks and movie services. Rumour has it that the Kindle Fire UK release date will be early 2012 – but it is unknown whether we will get the current version or a second generation device.